More than 15 reputable sources, ranging from research studies to the Global Body Dimension Database, inform thousands of data points about women’sanatomy, sizing variations, muscle energy, and outputs. 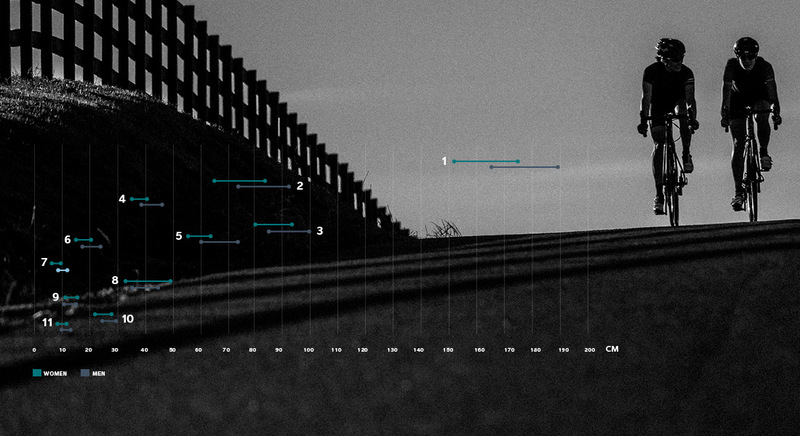 These data points are reviewed and analyzed by Liv Design leaders to create three layers of data: Body Dimensions, Muscular Activity, and Strength Patterns. 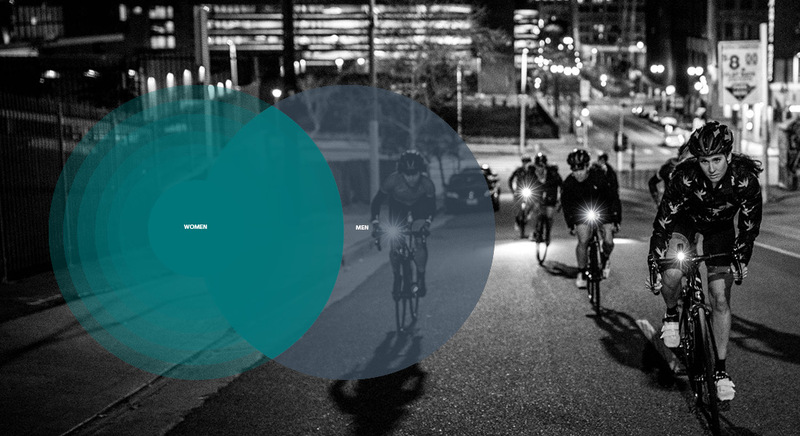 We use a collection of body dimensions data, including average anthropometric measurements for both men and women, as we set a woman’s fit on the bike. The optimal fit we create brings a woman’s body into a comfortable seated position with ideal placement of contact points, and situates her body to deliver maximum power output. Figure 1. These are the average anthropometrical differences between men and women of the same height. 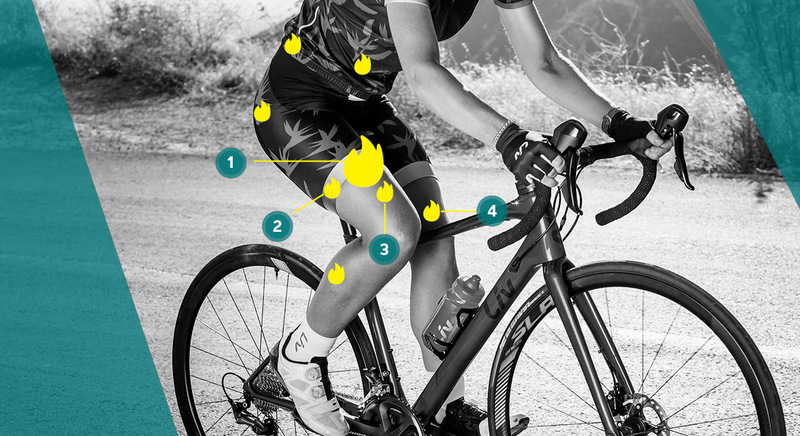 Liv uses this data for setting body position and contact points like narrower handlebars, smaller grips, women’s-specific saddle design, and crank length. Figure 2. 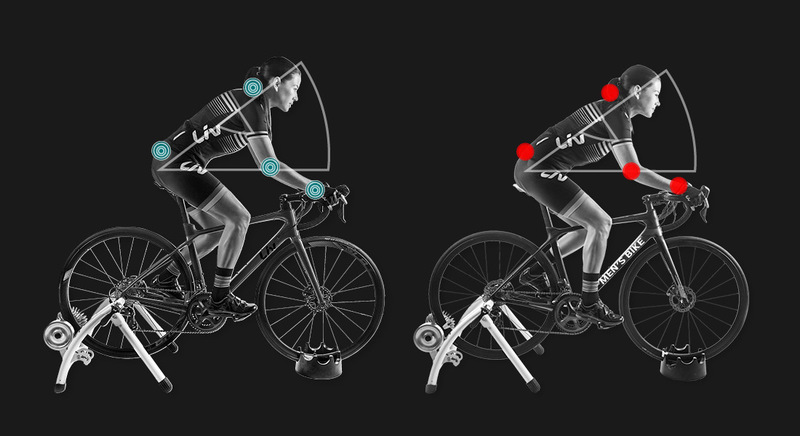 Looking at the average body measurements of men and women of 5’7” and of 5’3”, we see significant anthropometrical differences that will determine the best bike fit. Notice that differences in proportions become more pronounced for shorter men and women. Figure 3. When we put the average woman onto her closest sized men’s frame, we see that she becomes too bent over and stretched out. Not only can this negatively impact her power output, pedal efficiency and balance for bike control, but it alsocan result in pain points such as lower back pain, neck pain, elbow pain, and numbing of the hands. Riding in the wrong position may lead to injury down the road…or trail. Figure 4. Height Distribution applies to how we decide our frame sizing range; we recognize that there is a range of body shapes and sizes that overlap. Liv is committed to proper bike fit for the majority of women, short and tall, by designing women’s-specific geometries and componentry. Figure 5. Liv bicycle designs emphasize women’s fierce lower body strength, taking into account her natural muscle firing pattern. Here we see the data found that women activate the rectus femoris (front thigh) muscles more so than men while cycling. Figure 6. Here we compare the proportions of how average men and women recruit strength from their lower body and upper body. Notice that a woman’s percentage of lower body to upper body strength is greater than that of a man’s. 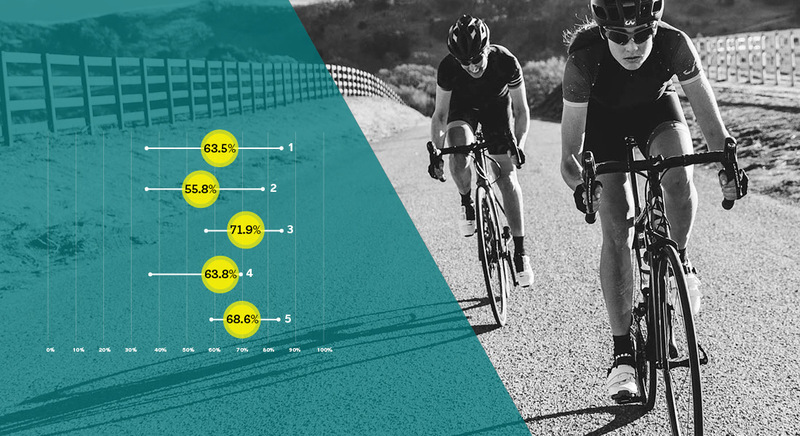 We use this data on strength differences to tailor the stiffness and compliance of our frames to meet a woman’s power demands, without sacrificing the strength and durability of the frame. This delivers a unique carbon layup in each of our composite frames for a tough, yet feather-light bike and a super comfortable ride.